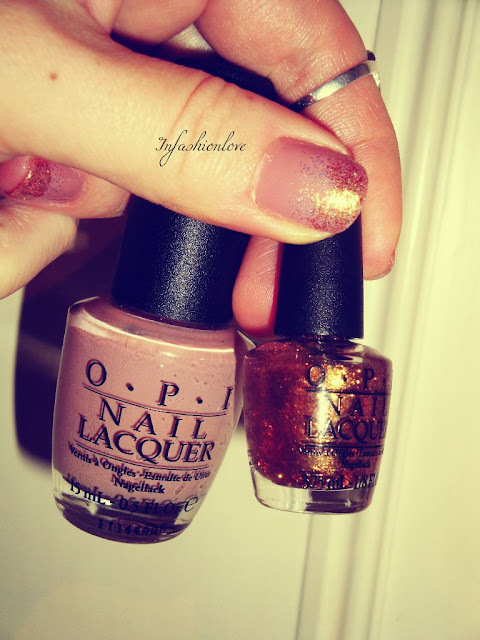 INFASHIONLOVE.COM: OPI Tickle My France-y + GoldenEye Glitter Ombre Nail Look! 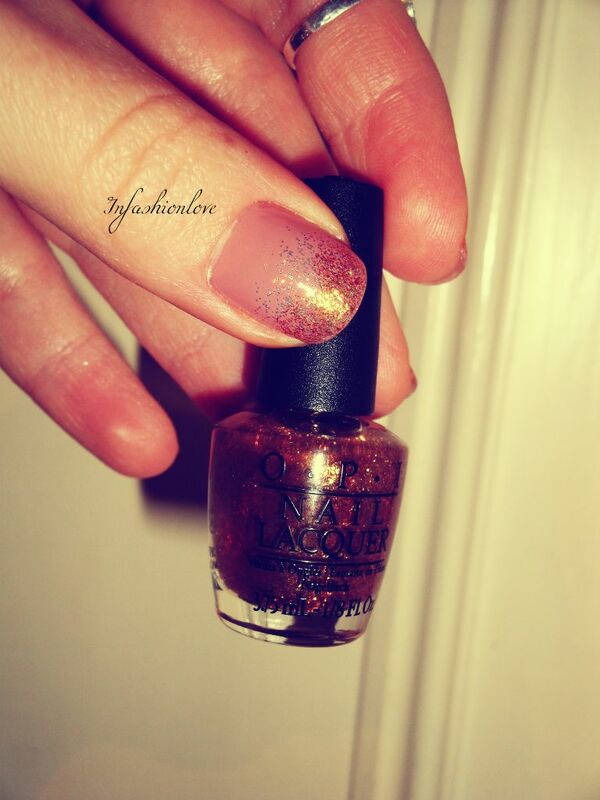 OPI Tickle My France-y + GoldenEye Glitter Ombre Nail Look! Some of the glitter nail polishes can have a huge amount of glitter particles and some don't have that many, the less glitter there is the easier it is to create a gradual ombre effect... 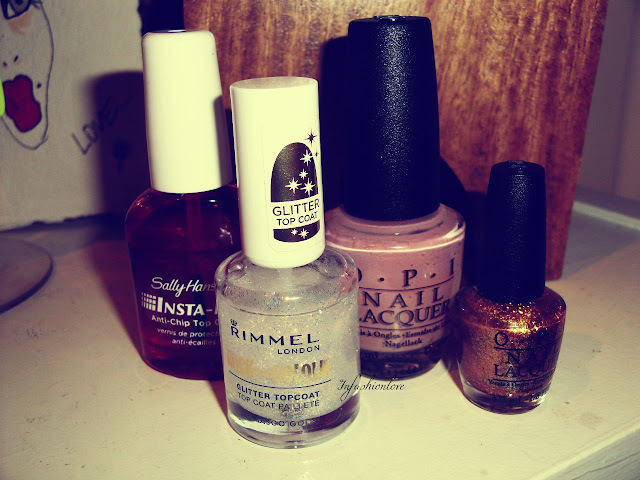 I also like to use a second glitter polish just to blend it, so far I have been using my Rimmel Glitter Topcoat in Disco Gold, which works really well, but I want to try new glitter topcoat and see what else I can find... And of course I always finish my manicure with a coat of Sally Hansen Insta-Dri Topcoat, which leaves my nails looking professionally done, glossy, neat, and most importantly dries the nail polish really fast! Nope I haven't tried that one - I've been eyeing it up for ages though.